Staff, volunteers and members dedicated to preserving birds and their habitat. Founded in 1965, the Venice Area Audubon Society (VAAS), a chapter of the National Audubon, serves Venice, Nokomis, Osprey, North Port, and Englewood, Florida. The purpose of VAAS is to promote an understanding of and interest in wildlife and the environment that supports it, and to foster the cause of conservation with emphasis on birds and their habitats. VAAS sponsors birding field trips and walks, bird censuses, Christmas Bird Counts, and Sarasota County school education projects. Venice area bird news and conservation efforts are described in five issues of the VAAS newsletter Wings & Things each year. Free evening programs held monthly at the Venice Audubon Center from September through May feature prominent birders, nature photographers, and environmental activists. VAAS supplies speakers for neighborhood community programs and works cooperatively with both local and national environmental advocacy groups. 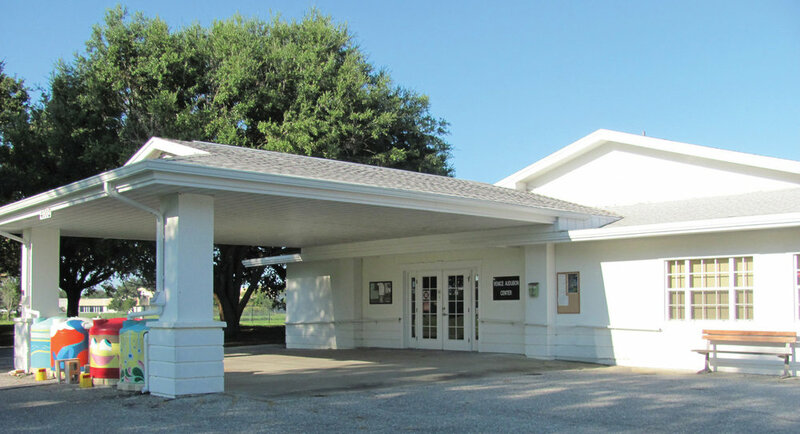 VAAS leased the Venice Audubon Center from Sarasota County in 2002 and now has full responsibility for maintaining the building and coordinating all activities that take place there. Volunteers welcome numerous visitors from around the globe between the months of September and May and provide information about local birding and the Venice Area Audubon Rookery, located a short distance from the Center. The Venice Garden Club and the Venice Aquarium Club meet at the Center and VAAS holds its general meetings, occasional plant sales and other fundraisers there. VAAS volunteers installed and now maintain a beautiful Butterfly Garden that boasts more than 35 plants. The plants provide nectar for more than 22 species of adult butterflies, such as Monarch, Gulf Fritillary, Zebra Long-wing, Giant Swallowtail, Pipevine Swallowtail, Cassius Blue, Julia, Common Buckeye, Dainty Sulphur, Cloudless Sulphur, Viceroy, and Queen. A decorative system of rain barrel cisterns, donated by Sarasota County, installed by Raindrop Cisterns, funded by Venice High School’s Zoology Club and painted by various volunteers, waters the plants using a drip system. A list of plants in the garden is available at the Center or by clicking here. Check out our new purple martin house located close to our Center. VAAS received a memorial gift to help people learn about martins and swifts and used it as seed money to purchase the martin house. Other generous donors contributed to the project, which was completed in 2017. VAAS volunteers now act as responsible landlords and lower and clean out the house after the martins leave to prevent other birds from nesting there. The largest ongoing project in VAAS is its education program for 2,430 students in South Sarasota County schools. The organization supports a paid teacher who visits more than 60 second grade classrooms and runs more than a dozen field trips to the Venice Area Audubon Rookery each school year. Audubon Adventures is another education program that provides teaching packets to educators in upper elementary classrooms. Learn how to donate to our Bird Study Program by clicking here. Come to any of our nine monthly meetings and bring your friends. All are welcome. Where: Venice Audubon Center, Annex Road, behind the Anderson Sarasota County Administration Center, Venice, Florida. Click here for a map and driving directions. When: Meeting are held on the fourth Tuesday of each month except in December and May when the meetings are held on the second Tuesday. The social period begins at 6 p.m., followed by the general meeting and program at 6:30 p.m. No meetings are held in June, July and August. We plan many birding trips each Fall through Spring season. If you love to get outdoors and learn to identify birds, please join us. There is something for everyone, whether you are a beginning or seasoned birder. For a complete list with details of all of our trips, download a copy of our Trips & Programs Guide. Or visit our Events page, where all the trips are calendared. Better yet, become a member of VAAS and you will receive monthly email reminders called the VAAS ChipNote with details about our upcoming trips and other events.